I have been writing about the relationship between contemporary art and Ikebana. A key question is whether Ikebana can seek meaning through its contexts like contemporary art can. Probably there is no right answer to this question and there may be many answers. One of the most important aspects of context is that it goes with critiques. An example is in academic discourses. A great number of PhD students every year study contemporary art for their thesis. On the other hand, very few academic papers on Ikebana have been published. In terms of critiques, there is no comparison between Ikebana and contemporary art. 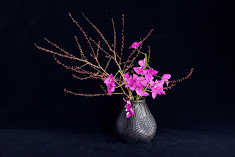 It seems to be obvious that Ikebana cannot seek meanings like contemporary art does. Nevertheless, I would like to seek the possibility of Ikebana being effective in the context of contemporary art. This is one of the 2 works I made for the Wye River Project as part of the Lorne Sculpture 2016. 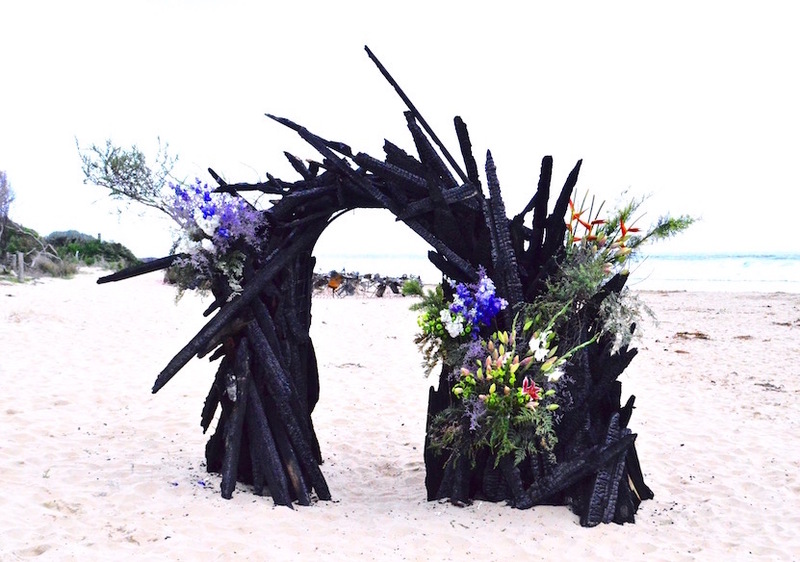 I transformed my sculpture into Ikebana by adding flowers. While my sculpture demands viewers to use imagination to appreciate it, I feel my Ikebana is appealing more directly to the senses of the viewers. Compared to contemporary art, Ikebana may expect its viewers to be more passive. That was one of a few things I noticed this time.